Stampin' Up! 's extravaganza sale starts tomorrow, November 24 and runs through December 2! You can see all the items available in this sale HERE!! There are some door buster sales exclusively available on Monday, November 24th and then more available on Monday, December 2! Here are some of the items available tomorrow - Textured Impressions Embossing Folders for only $5 each!! I just took a quick look through the list and I see punches, lots of ribbon, glimmer paper (squee!! ), the Big Shot Magnetic Platform (love mine! 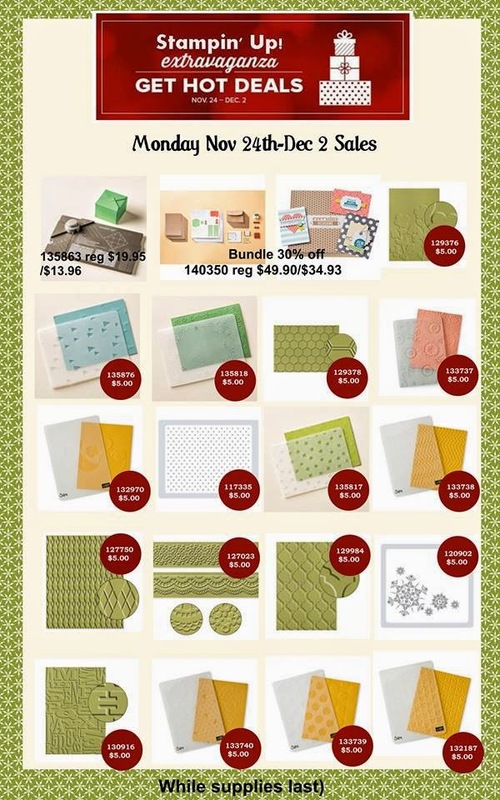 ), Designer Series Papers, Stamp Sets, Buttons, Emboss Powder, Framelits, and so much more! Don't wait to order because items are only while supplies last. You can always order online by going to my demonstrator website at http://www.stampinup.net/esuite/home/jaynestamps/ or by contacting me directly! A few weeks ago I had a Step-It-Up Cards Class. 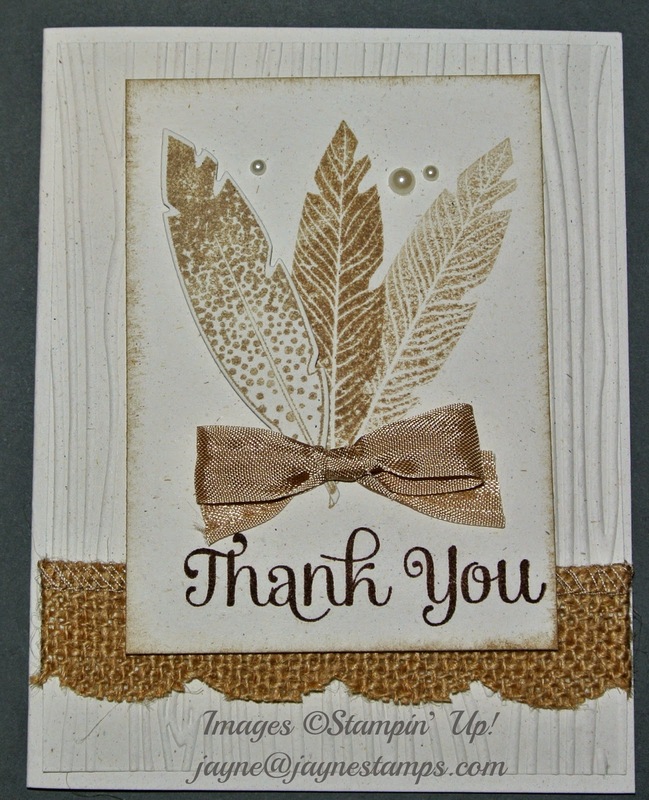 The ladies who came all enjoyed the cards, and it was fun to see how simply by adding texture (see above sale! 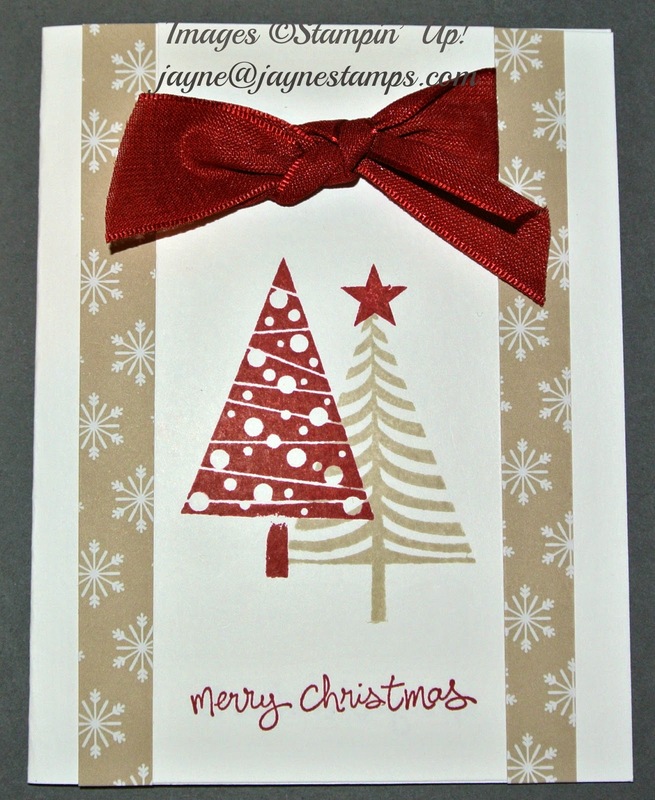 ), ribbon, or another layer of cardstock can make your projects look amazing! 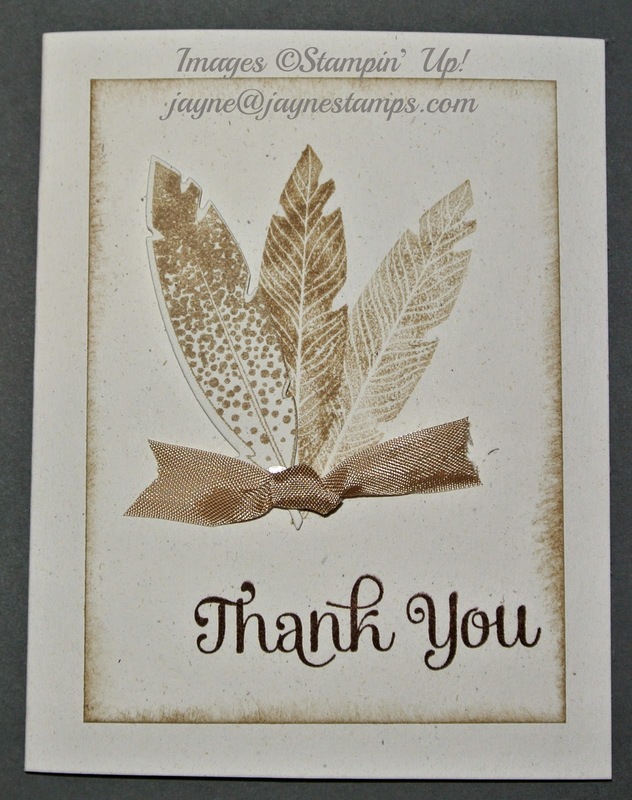 The first card is a monochromatic card using the Four Feathers stamp set. Here it is "stepped-up" by adding a textured background, some Burlap Ribbon, and a few Basic Pearls. 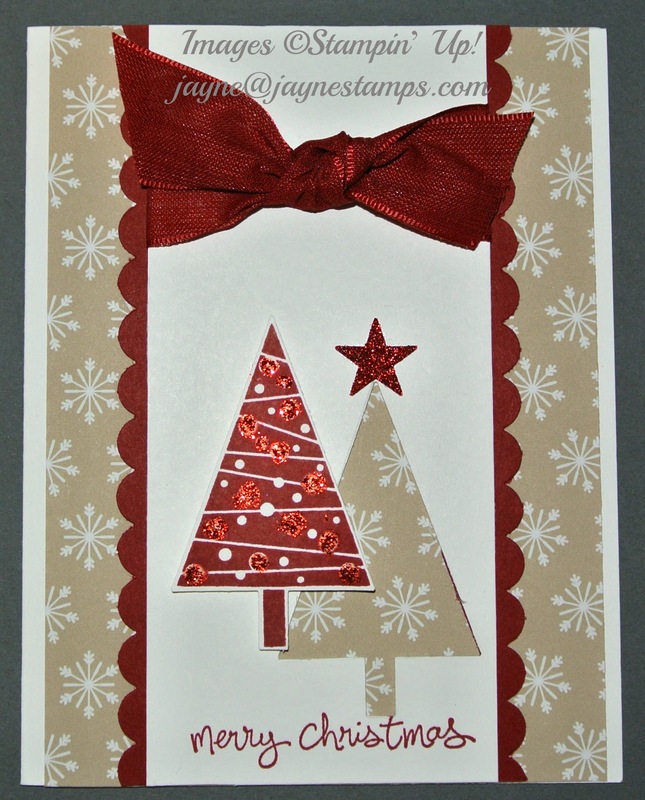 This card is made with the Festival of Trees stamp set, Trim the Tree DSP Stack, and Cherry Cobbler 1" Sheer Linen Ribbon from the Holiday Catalog. The basic elements on this card are the same, but we added the coordinating Tree Punch, strips of Cherry Cobbler cardstock punched with the Scallop Edge Border Punch, a small star punched from Red Glimmer Paper, and accented the tree with dots of Cherry Cobbler Dazzling Details.